Do you love LeBron James? I mean, really love the basketball superstar? Like, love enough to stalk his every move? Well, if you’re the owner of a Samsung Galaxy S5, Galaxy S4, Galaxy S III, Galaxy Note 3, or Galaxy Note II, you’re in luck. 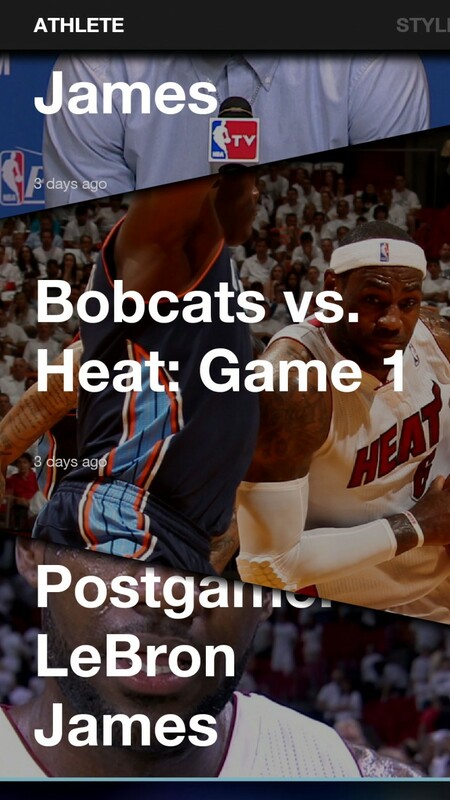 The LeBron app exclusive to the Samsung Galaxy line gives you wide access to the athlete’s life — as well as stats, videos, and photos of games. The app even works in conjunction with NBA Game Time for stats. The style section include photos and videos of his off-the-court look including a sneaker of the day. Then there’s Journey where you get filtered access to his family and philanthropic endeavors. Oh, the app even has LeBron radio. It’s like he’s at your house spinning his favorite tunes just for you. Or maybe you’re on a road trip together and he created this really cool playlist that includes Nicki Minaj, Kanye West, and Daft Punk. All of this is displayed in a photo-heavy app that reminds you that LeBron James is amazing. The apps pretty cool too. That is if you really love LeBron James.